Pol Roger Brut Reserve Champagne Bottle In A Pol Roger Gift Box From the favourite Champagne house of Winston Churchill comes this beautifully golden straw yellow champagne. While not being overly fizzy or foamy this champagnes fine bubbles just keep sparkling. A bouquet of floral and ripe fruit aromas mesh well with its light oaky roasted aroma. 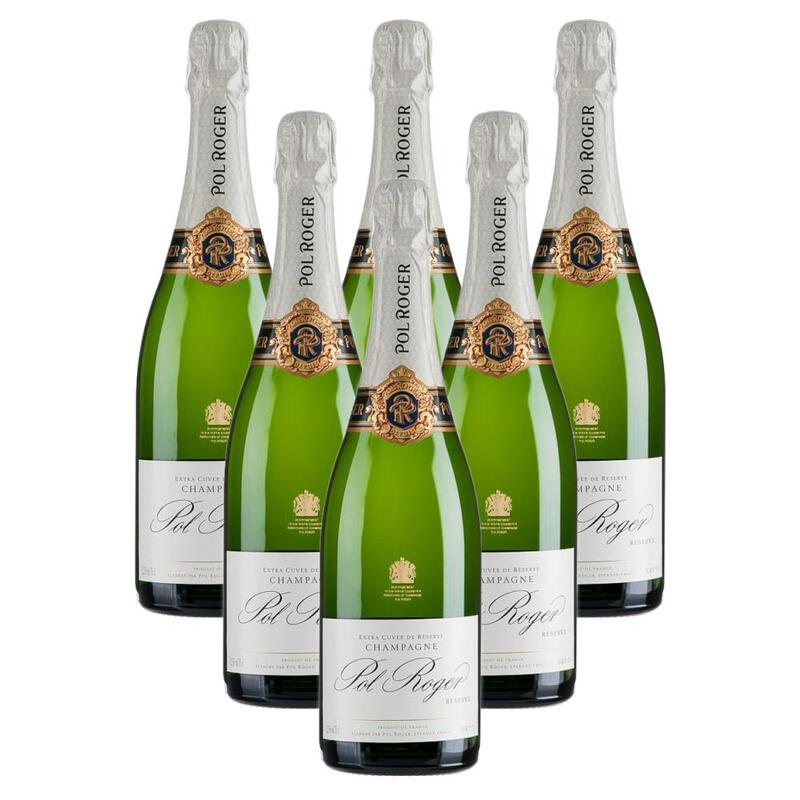 Pol Roger Reserves rich vinous grapey flavour is thirst-quenching on the palate with a superb taste of brioche. A suggestion of sweetness adds to its very smooth silky texture. Its strong fruity taste becomes more and more toasted over time leading to a very long finish. Composed of more than 30 base wines drawn from at least two vintages Pol Roger Reserve is never realsed until at least 3 years old.